Memi Pearsall is a 17 year old and from Richmond, Virginia. Her mother is Robin Johnson of Virginia and Harbor Springs, Mi. She has been riding since she was 7 years old and she started riding in Virginia and continued to Chatham Hall, an all girls boarding school in southern Virginia. At Chatham Hall she was able to expand her experience from the Hunters into Equitation by joining the school’s IEA team. Each year she moved up a division and started showing in the intermediate division of IEA eventually qualifying for Regionals. She also competed in a Jumper show in Sedgefield, North Carolina. Memi does not own her own horses, yet every day she is assigned to ride one or more of the 30-40 school horses available at Chatham Hall. The girls ride five days a week, which allows the students to grow as riders and athletes. This summer was her first year working for Brek-n-Ridge Farm as a working student for Kate Etherly and Karin Offield. Brek-n-Ridge went on the road this summer competing in shows in Sutton’s Bay and the Leelanau Peninsula. Brek-n-Ridge student Mckenzie Becker joined up with Memi and Andrew Figures in Dressage competition. 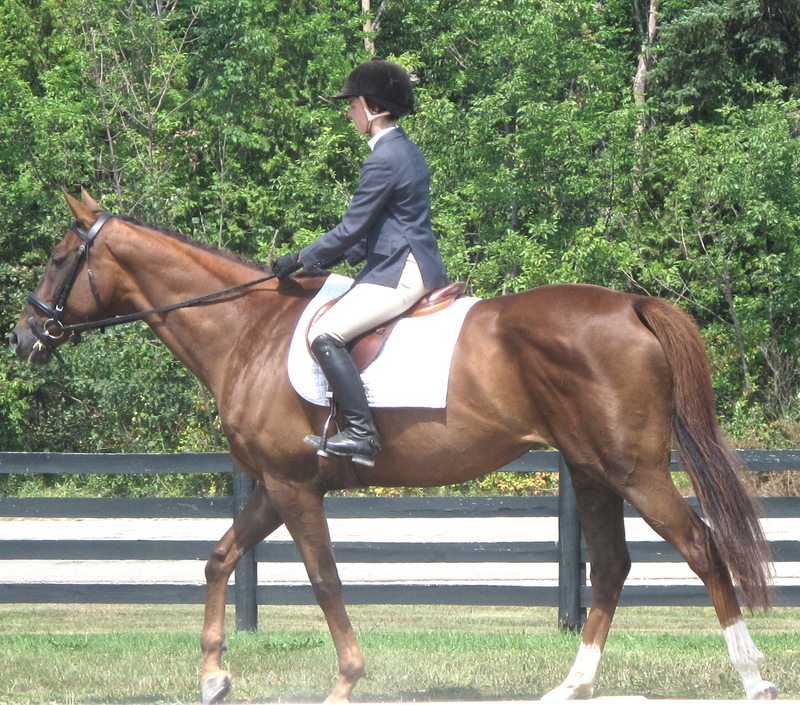 Memi competed in the jumping shows with the Brek-n-Ridge jumping horses Boxcar Annie and Redstar. Memi won an important flat class with Redstar, a pretty chestnut mare new to the stable and trainer Karin Offield. “ Memi successfully accomplished many of my goals for the summer. I am grateful that she joined up with us and worked so hard.I appreciate working with these young students and looking at their riding from their point of view and discovering how I can teach them to reach for more in their equestrian dreams. ” Karin says.